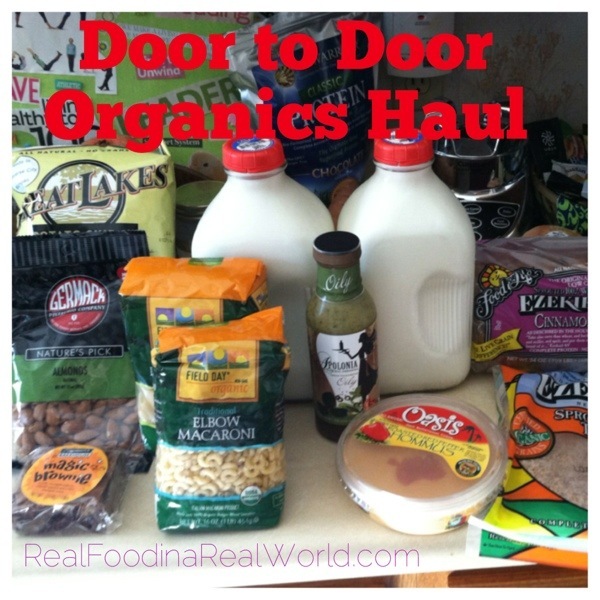 After the Good Food Gathering hosted by Door to Door Organics, my order doubled in size! There was so much good food to try! We added several new things to our order. The Apolonia oily Greek dressing is awesome! Great as a marinade or as the dressing in a pasta salad too. Grabbed some Germack almonds to make almond milk too. Some more usual suspects too: Calder Dairy milk, Ezekiel tortillas and raisin bread, Zingermans brownie, Oasis hummus, organic pasta and Great Lakes Potato chips. Lots of yummy produce this week! 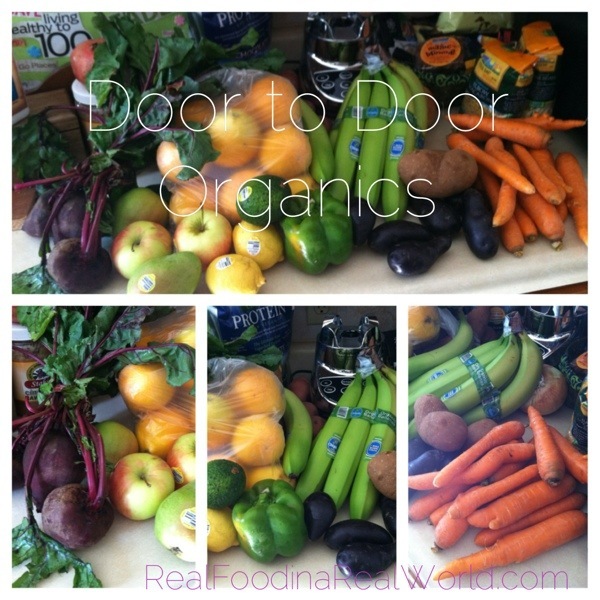 Bought extra beets, carrots and oranges for juicing. The dark things are purple potatoes! Side note: life here at the Real Food house is crazy. Local hubby is working all kinds of crazy hours and we are trying to adjust. I’m trying to carve out blogging time! I will be starting a new series soon detailing what I pack for his lunches. Say tuned! I think I would like to sample that Greek Dressing. Or maybe the pasta salad with the Greek dressing! We just finished eating chicken marinated in it! It’s pretty amazing!